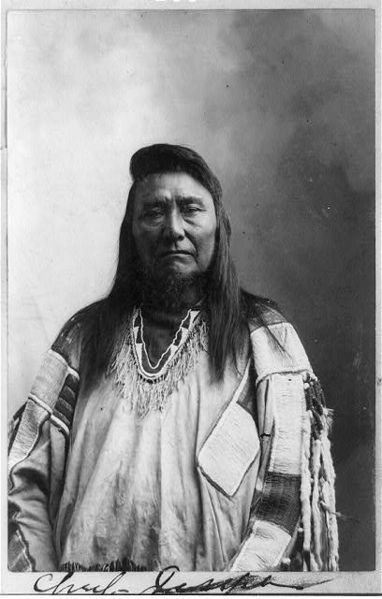 In 1879, Chief Joseph of the Nez Percé Indians traveled to Washington, D.C. and met with President Rutherford B. Hayes and other government leaders to plead his case to return his tribe – displaced from the Northwest to Oklahoma’s Indian Territory – to their original home in Oregon. Chief Joseph was known as a skilled orator. If you know anything about him, you may be familiar with his surrender speech to General Oliver Howard at Bear’s Paw, Montana, just 40 miles short of the Canadian border where he hoped to lead his people to freedom. As we continue to engage in political debate in the United States approaching November elections, I continue to remind myself of Henry David Thoreau’s theory of government. We’ve already discussed that – and probably too much – on this blog. This morning, I read Chief Joseph’s 1879 speech at Lincoln Hall in Washington, D.C. I am compelled to offer several quotes from that speech that we would be well served to remember as we gather at the polls in November. I continue to weep at how inhuman we can be to each other in the name of humanity. It is time to make a stand. My faith teaches me that true peace will be found not in man, nor on earth, but in God. I believe Chief Joseph understood this, as well. If ever someone wanted a sign that there is a God who sends us things we need just when we need them, I would submit this blog as a meditation on the Affordable Care Act. Chief Joseph would surely recognize the promises that Washington made today as more of what The Great White Father told him and his people.